We are so thankful for the many businesses that have chosen to support KCWN over the years. While providing hope in South Central Iowa, they are using a very cost effective way to grow their business. May we add you to our list of satisfied business partners? Contact the station at 628-9999. Are you interested in supporting Christian radio with your advertising dollars? Our listeners are also consumers! 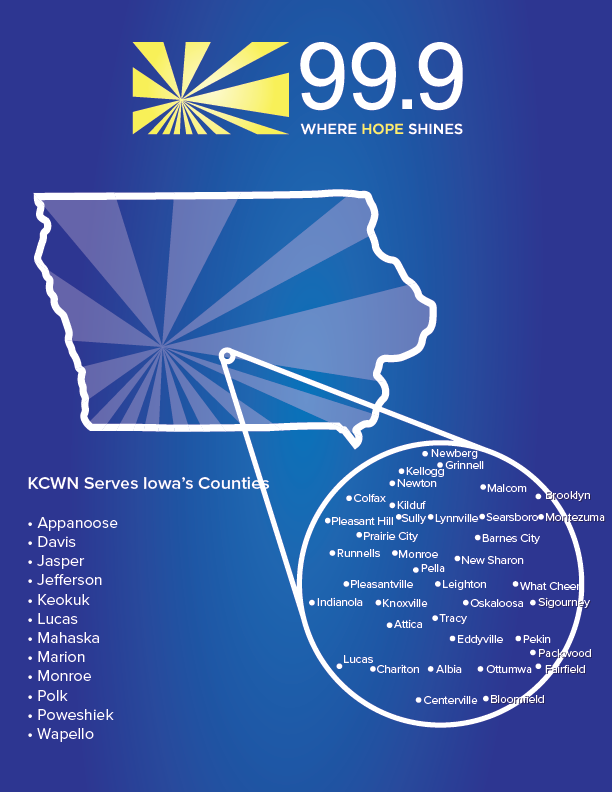 With coverage in Marion, Mahaska, Jasper, Monroe, Poweshiek, Keokuk and Wapello counties, we are bringing your advertisements to thousands of listeners in over 136,700 households who want to support Christian businesses. Allow us to assist you with a marketing strategy for your business. Call the station at 628-9999 or email bev@kcwnfm.org for rates and ideas!